This Single Malt is delicate, powerful and refined. This whisky is very rare and very old. Caol Ila distillery was founded in 1846. 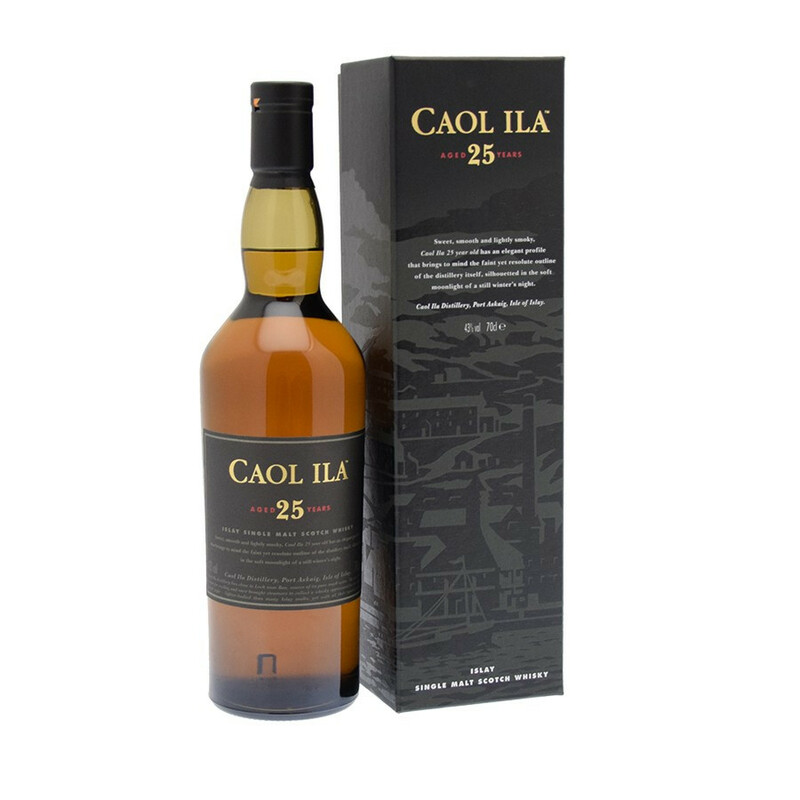 Caol Ila means "Islay Strait" in gaelic. The distillery is located between Islay and Jura islands. This is one of the most mellow and reputated malts that exists. This Single Malt is a perfect expression, the result of a unique technique and a long maturing process in oak casks. This whisky is a must have for whisky amateurs. Nose: thin, spiced with cloves, charcoaly, herbal and fruity with a hint of pear. Palate: soft and mellow. The fruits are candied (plum and pineapple) with a taste of blood orange, it is also salty and smoked. 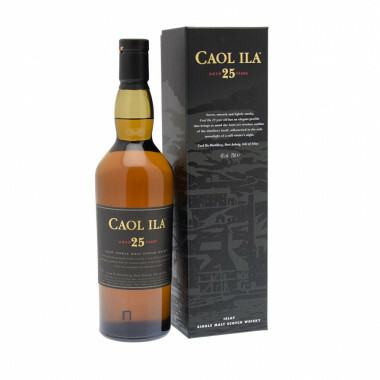 Finish: tender and delicate with liquorice notes, peat and spicy menthol.